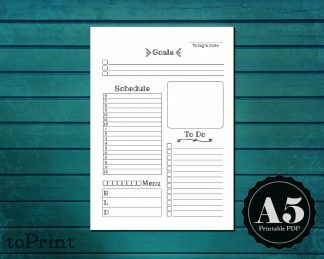 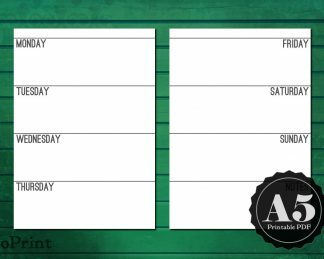 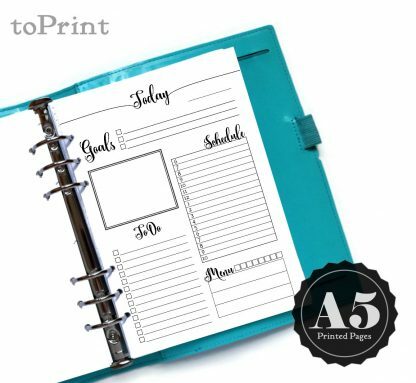 These daily planner insert pages are A5 sized sheets which have been printed, cut, and hole punched to fit in many common A5 6-ring binders. 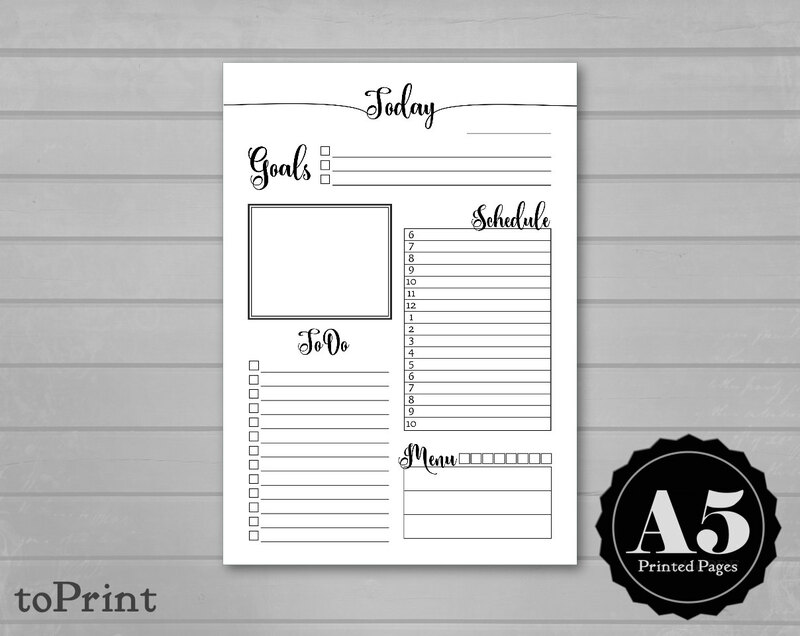 Gain control of your daily routine with this handy daily sheet. 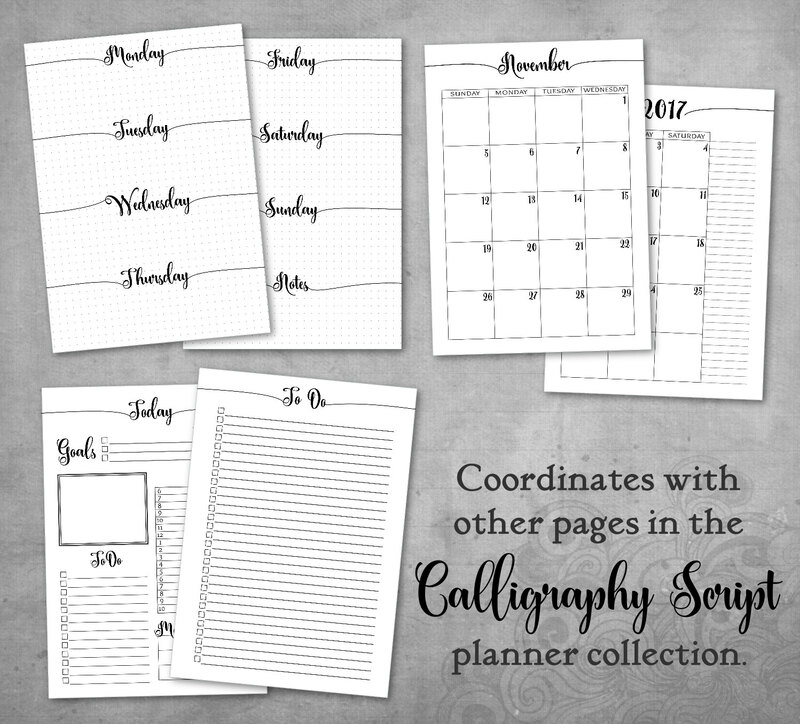 This undated calligraphic script daily insert includes top goals of the day, a schedule, to-do list, meal planning and hydration tracker, and a blank box for doodling, inspirational quotes, or notes. 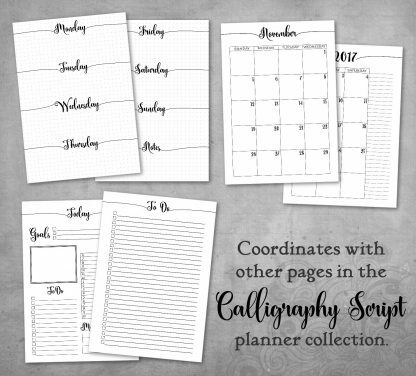 Choose from two versions: with gray guide words (Date, Hydrate, B-L-D) or without. 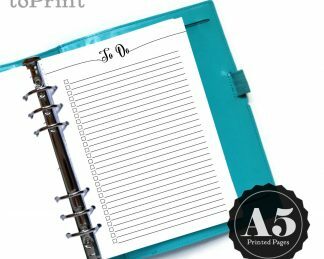 If you would like your pages left unpunched, please leave a note in the Note to Seller field during checkout.